New (Ctrl + N): This option is used to create the New Database. Open (Ctrl + O): This option is used to open existing Database. Save (Ctrl + S): This option is used to save the current Database. Save As (Ctrl + F12): This option is used to save the database with new file name. Print Preview: To see the Print preview of the current database. Print (Ctrl + P): To take the print out of the database. 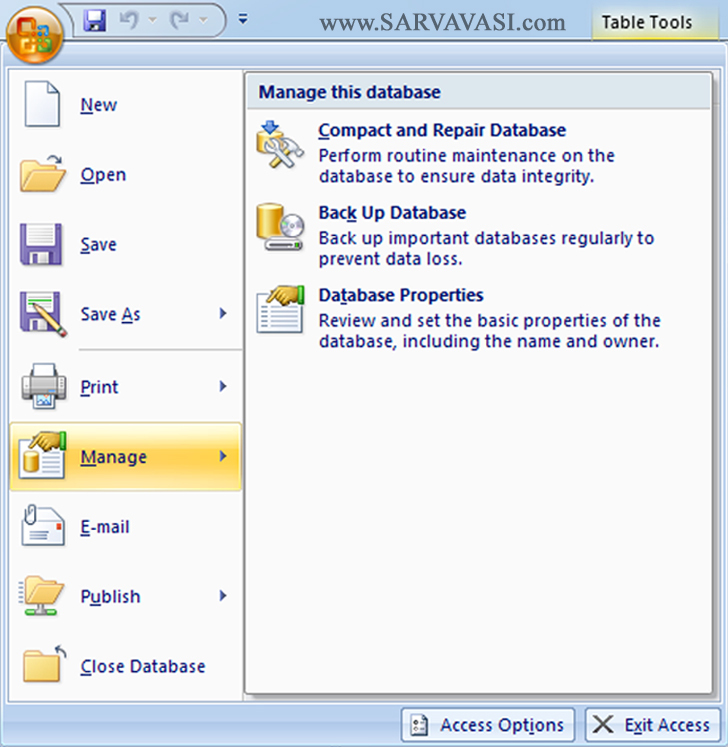 Perform routine maintenance on the database to ensure data integrity. 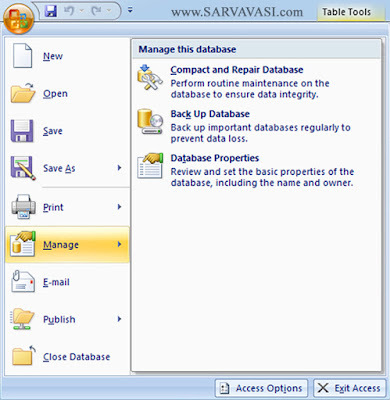 Backup database: Backup important database regularly to prevent data loss. Database Properties: Review and set the basic properties of the database, including the name and owner. Publish: Document Management Server: Share the database by saving it to a document management server. Package and Sign: Package the database and apply a digital signature. Close Database (Cltrl + W): To close the current database. Exit (Alt + F4): To Exit from the Microsoft –Access 2007.